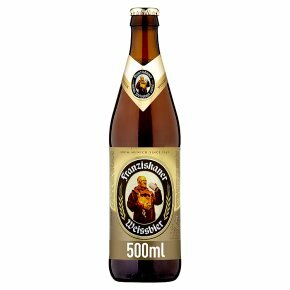 Franziskaner dates back to the oldest privately owned brewery in Munich, founded in 1363. Brewed simply from wheat, barley, hops, yeast and water, this beer is naturally cloudy and gently carbonated with a zesty wheat flavour. A refreshing taste sensation.